The MEA Eagle Hydraulic Power Unit and Actuator were developed by MEA for FCCU (Fluid Catalytic Cracking Unit) slide valve applications in oil refineries. First introduced in the field in 1979 as an analog system, they now come with fully digital controls providing precise position to a resolution of 1/1000th of an inch. When fully networked with your DCS, operation can take place remotely while self-diagnostics and predictive maintenance can communicate a potential problem before it even occurs. With optional redundant controls, a secondary control system will seamlessly take over in the event of a failure assuring that your process continues uninterrupted while maintenance takes place. This 100% always-on reliability can eliminate unplanned shut downs all together. A standard system configuration consists of a single Hydraulic Power & Control Unit (HPCU) that controls a Mechanical Positioner with cylinder which is coupled to the valve. 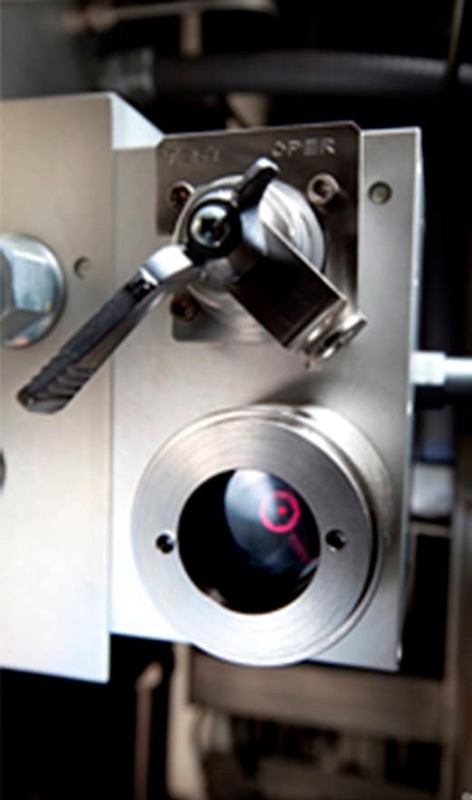 Fail-safe is accomplished through the use of redundant controls and Quality Assured Manufacturing. MEA designs include two separate control nodes, each capable of complete, independent control. Each node monitors the other as well as its individual control loop components. In the event of a failure, MEA software senses the problem and automatically initiates a seamless switchover to the alternate node avoiding interruptions. Systems are completely customizable with user-specified components, performance, architecture, size, etc. Redundant Servo Control System: Engineered for precise directional flow control which gives you constant command of the valve position. Testable and Redundant Emergency Shut Down System: Allows you to verify your emergency shutdown function (meeting OSHA 29 CFR, Part 10 regulations). Testing emergency shutdown function will not interfere with the operation of your valve or the critical process it controls. Externally Mounted Mouse: Allows access to screen controls without opening the control enclosure thereby maintaining the integrity of your área classification. Double Filter Manifold Design: Allows for the changing of filters without interruption of service. 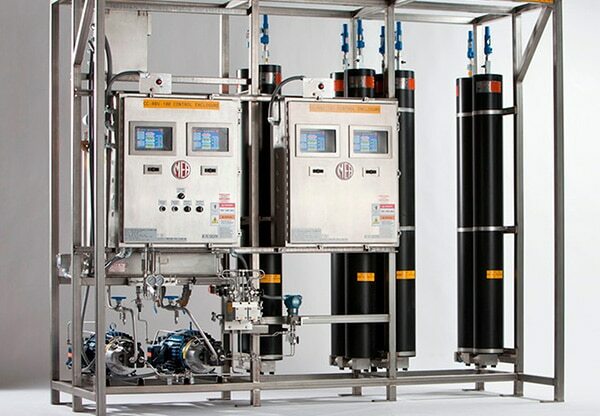 Three (3) micrón filtration eliminates contamination from hydraulic circuitry. Systems can be supplied with single or centralized Hydraulic Power Units (HPU) that utilize remote Hydraulic Control Units (HCU) for valve control.